Few people probably saw this one coming. Microsoft Windows has long faced off with Mac OS X on the desktop, and while only a distinct minority adopted Apple's platform, the conflict has captured the interest of the tech industry for years. Open source advocates have even entertained the idea that Linux desktops would one day topple Microsoft's empire. Far fewer people speculated that it would be a mobile operating system that would start to replace Windows on desktop machines. 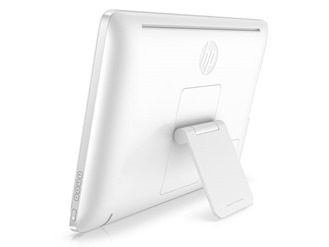 Yet we've already seen Acer move in this direction, and now HP is doing the same. 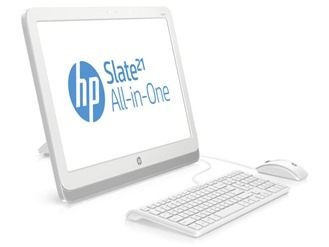 Today HP announced the Slate 21 AIO, a 21.5-inch tablet that wants to sit not on your lap, but on your desk. The HP Slate 21 sports a kickstand in the back that will position your tablet at the same angle as your aging all-in-one desktop PC, but it can be repositioned to various other angles that may be more finger or stylus friendly. Judging by the provided images, multiple USB ports in the back can handle your keyboards and mice, though I would imagine Bluetooth hardware will be supported as well. 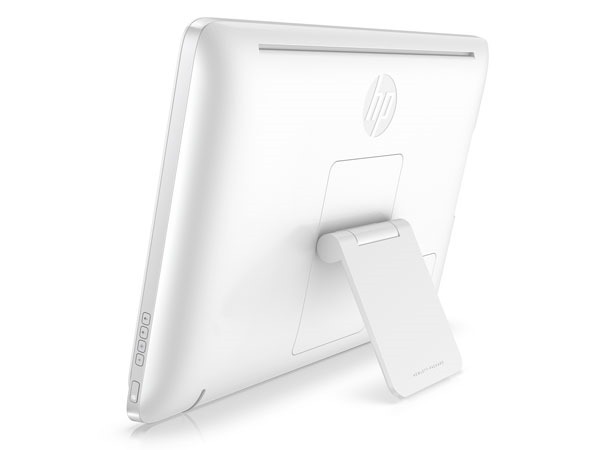 The computer - erm, tablet - will ship with a Nvidia Tegra 4 processor and run Android 4.2.2. The Android interface has no problem scaling to larger screen sizes, but the vast majority of apps look atrocious when stretched too far away from their native mobile dimensions. Nevertheless, an Android desktop may be a good fit for a generation of people raised using smartphones and tablets, not heavy desktop interfaces, to do the bulk of their computing. It could also be just the ticket for the leagues of people who never quite grasped the complexities of Windows but still want to search the interweb, browse the YouTubes, and send tweets just like everyone else. 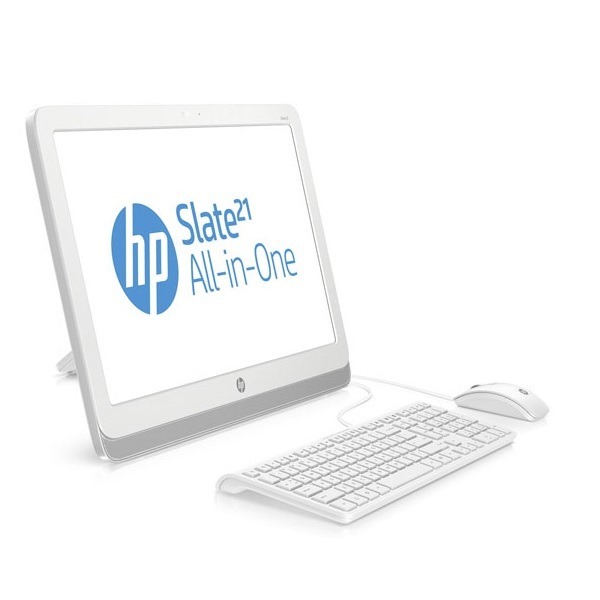 The HP Slate21 All-in-One expands upon HP’s portfolio of multi-OS products and is ideal for family activities, providing easy access to entertainment and productivity features, plus fun Android apps. Through Google Services, customers can reach shared content such as calendars, email, notes and documents, which can be created with the built-in productivity apps; users can also print wirelessly from anywhere in the house (1), organize content, and connect to other devices.